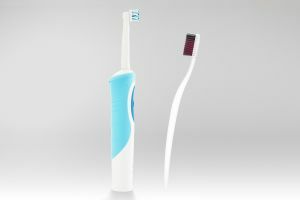 Electric Toothbrush | Are Electric Toothbrushes Really Better? Are Electric Toothbrushes Really Better? As dental health specialists, we take brushing seriously. Most of the tools we use in everyday life have undergone technological advances over the last 50 years, and the toothbrush is no exception. There are analogies made to other appliances,which encourage people to switch from a manual toothbrush to an electric toothbrush. 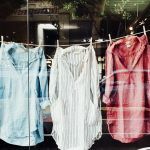 For example, you do not need an electric clothes dryer. You could continue hanging your clothes on a line. But why would you? This is a great argument for convincing people to keep up with advances in technology. The only problem with this analogy is that its most convincing point is the speed with which the task is now accomplished and the time you can save. Be careful! This reasoning should not be applied to the toothbrush debate. An electric toothbrush should never shorten the amount of time you spend brushing your teeth. Rather, its great advantage is the superior cleaning it provides. This blog will highlight the benefits of an electric toothbrush over a manual toothbrush. Absolutely. The cost of electric toothbrushes varies widely. There are small, battery-powered rotary brushes for as little as $5, and there are rechargeable sonic brushes for several hundred dollars. In general, any electric toothbrush is more effective than any manual toothbrush. The more expensive brushes have more features, which can help you use it more effectively. The cost of the electric toothbrush can easily be offset by the ways it can save you money at the dentist. Each of the benefits described below can reduce the time and money you spend at the dental office. One great way to cut down on cost is to share the brush base with a family member. The replacement brush heads are inexpensive. Simply switch out the individual brush heads on the base when it is your turn to brush! Cleaning Efficacy– Electric toothbrushes became available in the U.S. in the 1960’s. The first ones studied were made in Switzerland, and at the time, exhibited advanced technology. In the initial scientific research studies conducted on this electric toothbrush, it showed greater effectiveness at cleaning teeth and removing bacteria. And for the last 50 years, it has only improved. Electric toothbrushes consistently remove more plaque and bacterial buildup from the teeth. The unique motion produced by the brush causes its bristles to contact more tooth surfaces, leaving a cleaner surface behind. Less Dental Disease– Because an electric toothbrush effectively removes more bacteria from the teeth, it prevents dental disease. A clean mouth is a healthy mouth. 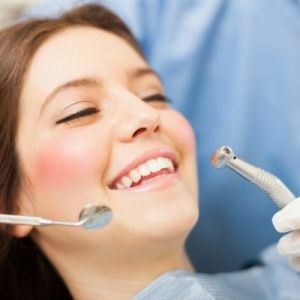 The first step to warding off cavities and gum disease is keeping the teeth as clean as possible. Electric toothbrushes produce cleaner teeth. Therefore, using an electric toothbrush lowers your risk of dental disease. Stain Removal–One of the lesser-known benefits of electric toothbrushes is improved stain removal. It is no secret that most people are interested in teeth whitening. One of the easiest and least expensive ways to make your teeth look whiter is to remove the extrinsic stains. 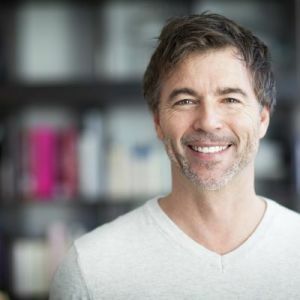 Extrinsic stains are surface discolorations that accumulate over years of drinking coffee, tea, or red wine, and smoking or using other tobacco products. An electric toothbrush is more effective at polishing the surface of the teeth. This polishing action removes stains that have collected on the surface of teeth and leaves a smoother surface behind. The smoother the surface is, the more resistant to future stains it becomes. Combining an electric toothbrush with a whitening toothpaste can polish off years of staining. Overcoming Problems with Manual Dexterity– There is a right way to brush your teeth. 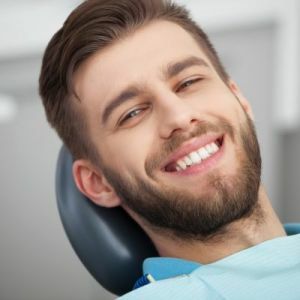 When using a manual toothbrush, the technique you use has a great impact on how effective the cleaning is. 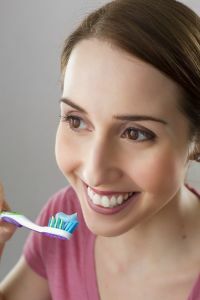 Several groups of people have difficulty accomplishing the correct technique for brushing teeth. Anyone who does not have good manual dexterity will not successfully reach all of the teeth when brushing. Because an electric toothbrush does all the “work” for you, the only technique necessary is making sure it touches each tooth. The following people would benefit greatly from an electric toothbrush. Choose the one that meets your needs and your budget. Every brand claims to be the best. We think the best one is the one you will use regularly. Spend time figuring out the buttons before putting toothpaste and water on it. Otherwise, you are in for a mess! Once you have that figured out, add toothpaste and a little water. Place the toothbrush inside your mouth before turning it on to avoid another mess. Make sure the bristles lightly graze the gums on each tooth. Remember, the brush is doing all of the work, so there is no need to press hard into the tooth surface or gums. Disassemble it to clean the brush once a week to prevent mildew buildup. Change the brush heads regularly. WOULD YOU LIKE A SPECIFIC ELECTRIC TOOTHBRUSH RECOMMENDATION? Come see us! Dr. Agarwal and our skilled dental hygienists would be happy to discuss your options with you and help you make the best choice. 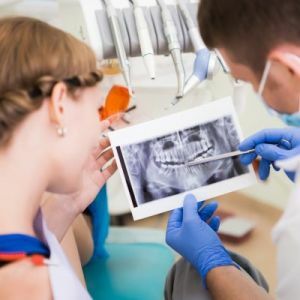 What is an dental abscess? 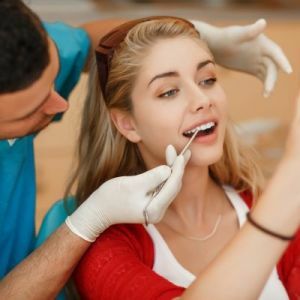 What is TMJ and TMD?